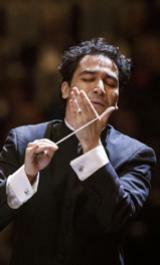 The annual orchestra project of the MCO Academy returns to Dortmund, Essen and Cologne for concerts led by conductor Andrés Orozco-Estrada and featuring violin soloist Emmanuel Tjeknavorian. The Double Concerto for two string orchestras, piano and timpani, H. 271 by Bohuslav Martinů, Wolfgang Amadeus Mozart’s Violin Concerto no. 3 in G major K. 216, and Ein Heldenleben, op. 40, of Richard Strauss are on this year’s programme. MCO Acadamists share the stage with Mahler Chamber Orchestra musicians for all works on the programme. The MCO Academy evolved during the Mahler Chamber Orchestra’s residencies in North Rhine-Westphalia, which began in 2009. The central goal of the Academy is to introduce MCO’s philosophy of passionate, creative and collaborative music making to future generations of orchestral musicians. The MCO Academy provides a carefully developed educational model that gives young musicians a high quality orchestral experience with renowned conductors and soloists during the annual orchestra phase. In addition to audition training, individual coaching and orchestral playing, the Academy also includes chamber music workshops which emphasize the MCO’s characteristic chamber music approach to music-making. Complemented by a mentoring programme, career talks and further year-round activities, the Academy fosters creative and independent thinking and offers a comprehensive and modern approach for professional musicians of the 21st century. With the cooperation with founding partner Orchesterzentrum|NRW, based in Dortmund, the Academy has expanded to include further partners in the years since 2009. Currently, music students from four additional partner institutions – the National Youth Orchestra of Catalonia in Barcelona, Royal Northern College of Music in Manchester, Australian National Academy of Music in Melbourne and Colombian Youth Philharmonic – can apply to take part in the MCO Academy projects. Thus, the Academy offers a unique platform for international exchange, another central characteristic of the MCO. During this year’s MCO Academy project the Mahler Chamber Orchestra and students of the MCO Academy perform on 23 November in Dortmund, 24 November in Essen, and on 25 November in Cologne. The Mahler Chamber Orchestra first performed with Colombian conductor in Andrés Orozco-Estrada 2010. 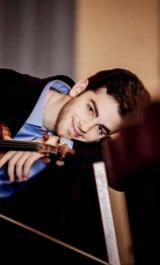 This will be the debut performance of Austrian violinist Emmanuel Tjeknavorian with the MCO.